Blogging + Interpersonal Chemistry Drives Ad Agency New Business - Peter Levitan & Co. 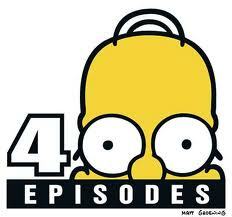 This is my 400th blog post. Why 400? I Am Driving Interpersonal Chemistry. First of all, I enjoy writing. I started this blog when I published my first book, “Boomercide: From Woodstock To Suicide”. 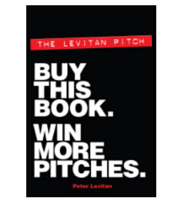 The blog also supports the marketing of my agency consultation business and my second book, “The Levitan Pitch. Buy This book. Win More Pitches”. Beyond the fun of writing and expressing my views on the advertising industry, the blog’s primary purpose is to act as my main marketing vehicle for my ad agency new business consultancy (and marketing ‘guinea pig’ to learn more to help my clients). Last year, 32,111 people visited the blog and viewed 70,202 pages. My blog posts were marketed across LinkedIn, Twitter, Facebook and in guest blog posts on websites like AdPulp, Agency Post (now HubSpot) and Advertising Week. The blog, guest posts and my book on pitching have also made me new friends that have helped expand the reach of my marketing program. Guest blogging got me a speaking gigs at conferences like HubSpot’s Inbound conference and the publication of my book made friends like Mitch Joel who invited me to be a guest on his 9-year-old “6 Pixels of Separation” podcast. Mitch has over 64,000 Twitter followers. All of this activity resulted in my working with advertising agency clients on three continents. As you can see, the blog has been read in virtually every country. I even had 5 views in Syria. Finally, the blog delivers a hit of personal chemistry to my readers. I write in my own voice and only about things that interest me or that I think will be of interest to my readers (and prospective agency clients.) I view building chemistry as a critical element of advertising and social media marketing as it will introduce you (or your agency) to prospects before they ever make that first call (chemistry building can start on your website). Here’s a video of me trying to chemically connect to you. I preach chemistry building to my agency clients and it is a core message in my book. Mitch: Peter, talk a bit about chemistry. You want to think well, the pitch (you are in) is fair. We know all the agencies competing. We know the budget. The spec work is very clean and clear. The map is there. At the end of the day, it’s about chemistry. Do I want to hang out with you or not? Peter: Right. Well, I approach chemistry in a couple of ways in the book. 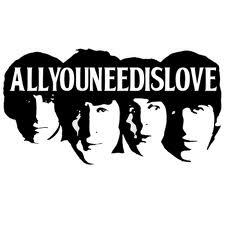 One is, there’s one side of the chemistry issue, which says essentially, they either love you or they don’t. The best metaphor for that is certainly dating. You go on a date and within five minutes, you decide I’m going to fall in love with this person or I’m not. Although today, dating seems to be faster because it’s all done with your finger on Tinder, which is a whole nother story. Mitch: Left to right. There’s right to left as well, right? Peter: I played with Tinder, not on my phone, and I’ve been yelled at because I’ve swiped the wrong way. Mitch: Asking for a friend. I know. I get it, Peter. Peter: Exactly. The other side is, I actually believe that chemistry can be managed. One of the interviews in my book is with Tony Mikes, who runs the Second Wind Network, which is a large agency network in America. He did that thing that is what a lot of agency people would love to do, which is to sit on the client’s side of the table through multiple agency pitches. It’s an absolutely fantastic story. Part of the story is he told me that of the 5 agencies pitching, and this is for the national aquarium account in Baltimore. Of the 5 agencies pitching, only one actually asked, up front, who’s going to be in the room from the client side. Now, I’m saying that to you, and I’m sure your listeners are going, well, this is crazy. We always ask that question. Well, I’m telling you that only 1 out of 5 relatively good, medium-sized agencies in the Washington, Baltimore and New York agency world asked. I suggest that the chemistry thing can be adjusted but you still have to know what client’s are going to be in the room. There’s no such thing as a blind date anymore. For your younger listeners, a blind date was when you didn’t have Facebook or Google to go to see what the guy or the woman looked like before you met them. I don’t think you should be able to walk into any room right now and not have some understanding of the interests and personality of everybody that’s in that room. That should help you start to build chemistry. By the way, you can build chemistry earlier in the process as well (via your website and marketing materials). Mitch: Yes, there are lots of interesting “tricks” for that, right, which is, you can follow them. You can Google Alert them. You can find out their interests. Hey, I’m coming to meet you. Saw this in the news, thought this might be of interest to you. There are a lot of ways to engage through the circles that are still, what I would call, at least ethical and well intentioned, for sure. There’s a part two to what we’re talking about though in the pitch process, Peter, which is sometimes it’s a pitch team and they’re very good at chemistry and getting people to smile and hugs and then it’s the old, what the clients will call, the old bait and switch. Again, this is one of those contentious issues where I go on both sides. I get it. You want to meet the people you’re going to be working with. Fair. But there is also a pitching and trying to win component and the person who might be best to do what’s called your strategy or your creative, may not necessarily be the best person to win the business to enable them to do that work. I do look at it very much from the side of yeah, I do think that a pitch team and the people that can go in there and really answer those questions are not the same as the people who are going to be doing what I would call, for lack of a better word, and I’m not demeaning it, the plumbing. Getting the real work done and engaging your brand manager or whatever it might be. Where do you sit on this? Do you feel that the people in the room need to be the people on the work? Peter: I think that you absolutely have to have your best presenters and I even use a different word for that: persuaders, your best presenters/persuaders in the room. Have to. Just imagine the worst-case scenario. The client says I want the team that I’ll be working with to present the work. You wind up with people that are not good presenters, that are not necessarily glib, but yes, here’s the AE and the account supervisor and the media director and I don’t know, on and on, but they’re not schooled in presenting and so you don’t win the business. That’s the worst-case scenario. I suggest that agencies absolutely bring their best presenters. That’s it. You have to do that if you want to win the business. If the client also wants to see their team, then you need to figure out a way to bring one or more members of that team into the pitch but then also realize that, and this goes back to the insanity of the pitch process, is that agencies need to be helping all of their employees become better presenters – earlier. In the old days when I grew up in the agency business in New York, we had presentation classes. I don’t see any reason why everyone in the agency who might wind up in a pitch some day isn’t being helped to understand what giving a great presentation is. Why not? Invest in the future so that you don’t wind up with this problem. Mitch: How about I’ll disagree with that? I think that the smart agencies do train, but I think that there’s still a massive chasm, as a guy who speaks publicly, that exists between even having basic presentation skills and being able to public speak, and I liken it to teaching someone to play guitar and actually someone being a guitar player. Even those have varying degrees of complexity and skill and ability. I heard that, I thought, wow. What a resolution to this problem. Mitch: Yeah, what we’ve done in the past here, is we’ll do things like shoot quick videos. ‘Hi, so and so, I’m an account supervisor. I’m really excited to work on your business. I’ve been in the business X amount of time. I’ve worked on this and hoping to meet you soon. Just to at least get a little bit of the flavor and you can at least control it a little bit.” Again, everyone started doing that. I was like, oh, this isn’t a competitive edge anymore. Now everyone’s doing the same thing. Peter: I have a section in the book on chemistry and it’s really based on some of my experiences but on two people I interviewed. One is Nancy Duarte. I suggest to people that they study her a little bit and look at her ‘sparklines’, which is what she uses to track a presentation. This is how she tracked the Steve Jobs presentation. Then I have another expert, Deb Weekly, who worked at both Wieden+Kennedy and Nike on these chemistry issues. Again, I think this is one of these areas where agencies should be, on a quite day, thinking through methods to build chemistry, whether it’s videos as you mentioned, or use a tool that I – well, it’s a technique that I stumbled on one day. We all read recommendations on LinkedIn. All right? I go to prospect’s page on LinkedIn and I read what someone else said about that person – a recommendation. However, I’ll learn much more about the prospective client when I read the recommendations that he or she give for other people. Now I’m in their head and now what excites them. I think we just need to think harder about how to learn about people and strangely enough, guess what business we’re in… how to motivate people. This entry was posted in Agency Websites, Book, Marketing, Personal Branding, Pitching, Social Media and tagged ad agency, blogging, branding, digital marketing, LinkedIn, new business, personal branding, Pitching, social media, website. Bookmark the permalink. Trackbacks are closed, but you can post a comment.